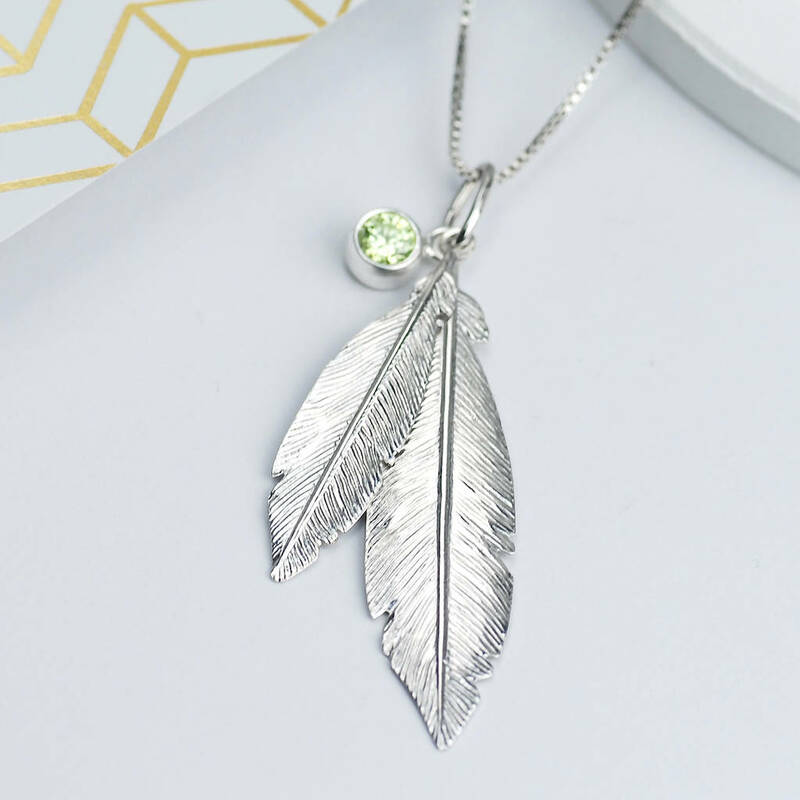 Exquisite personalised sterling silver double feather necklace featuring two beautiful silver feathers and your choice of stunning birthstones. 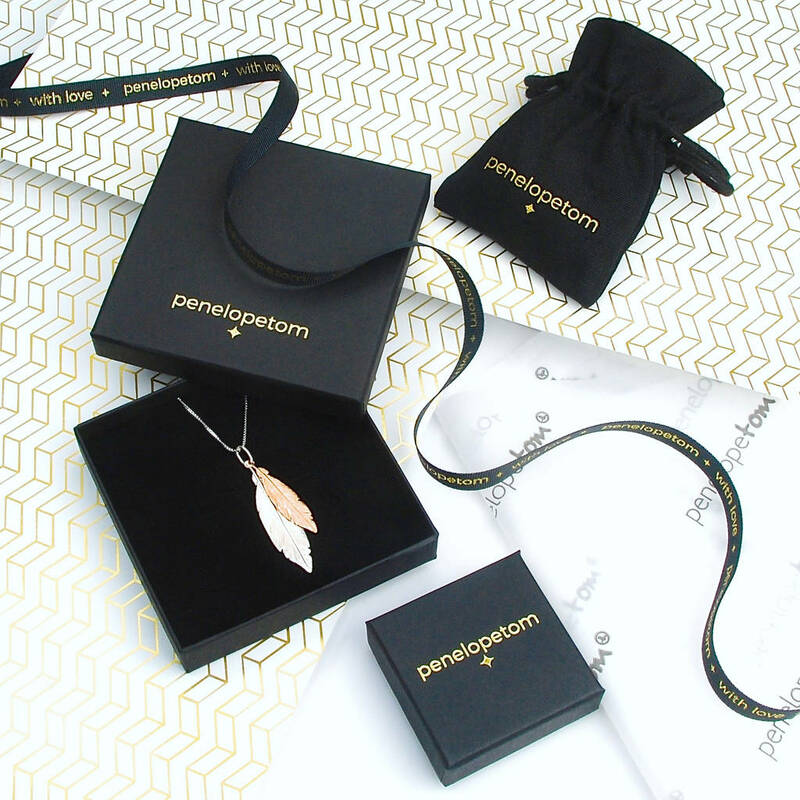 This beautiful personalised feather necklace features a larger sterling silver feather with smaller silver feather strung on a sleek silver box chain with link detail and a lobster clasp. 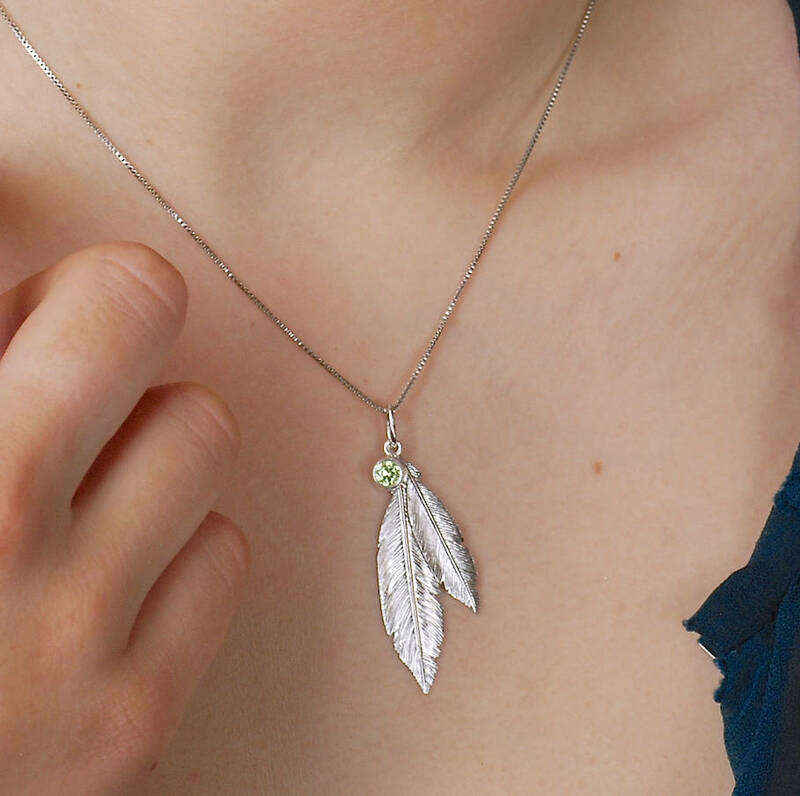 Intricately detailed, each feather catches the light beautifully, making this a stunning personalised sterling silver necklace. 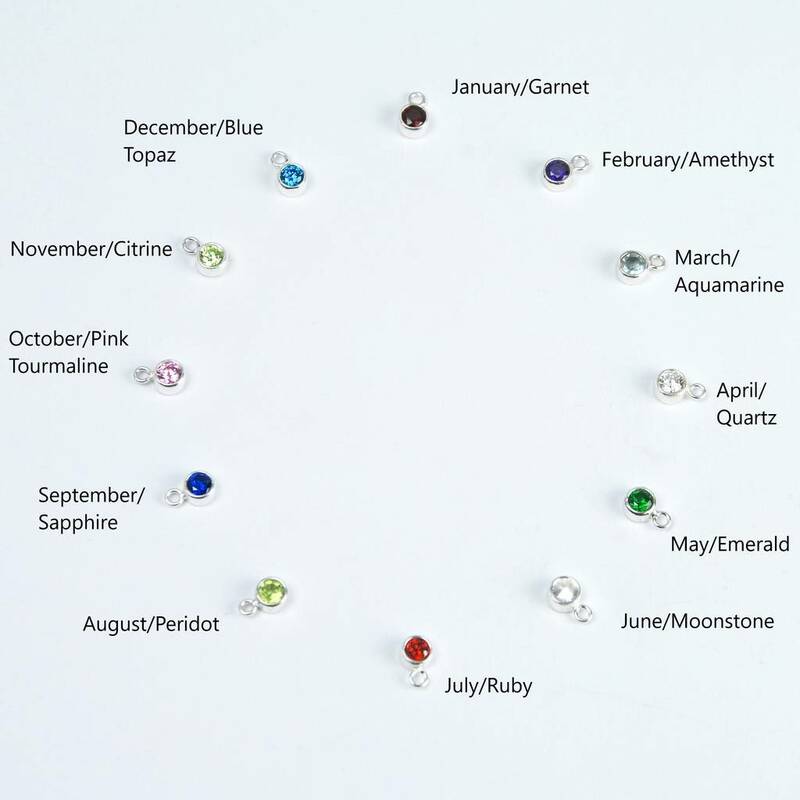 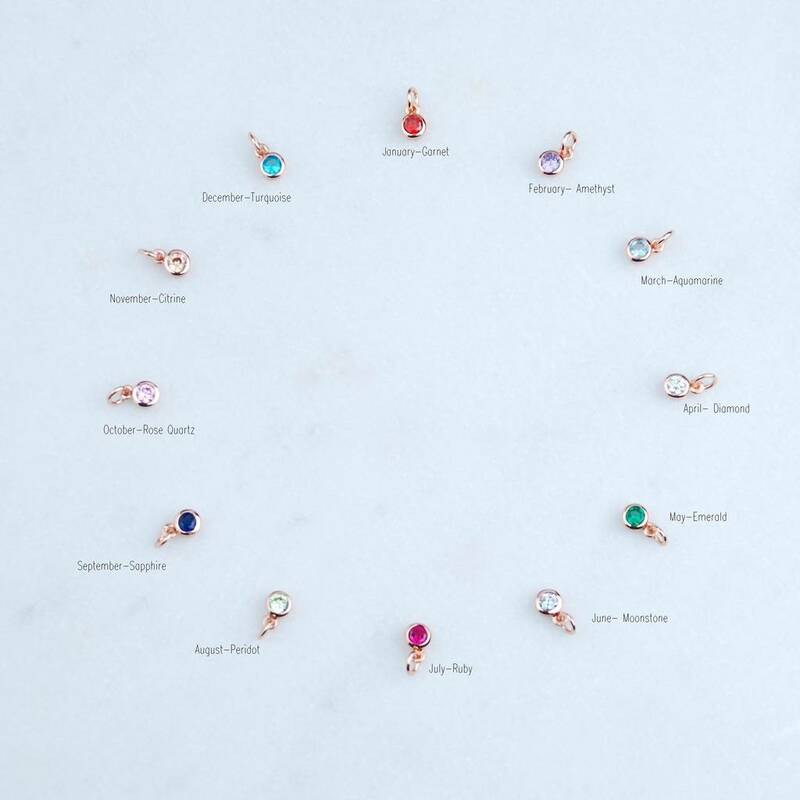 Choose to make your gift even more personal to your recipient by adding a sweet silver birthstone charm to reflect the recipients birth month or their favourite colour. 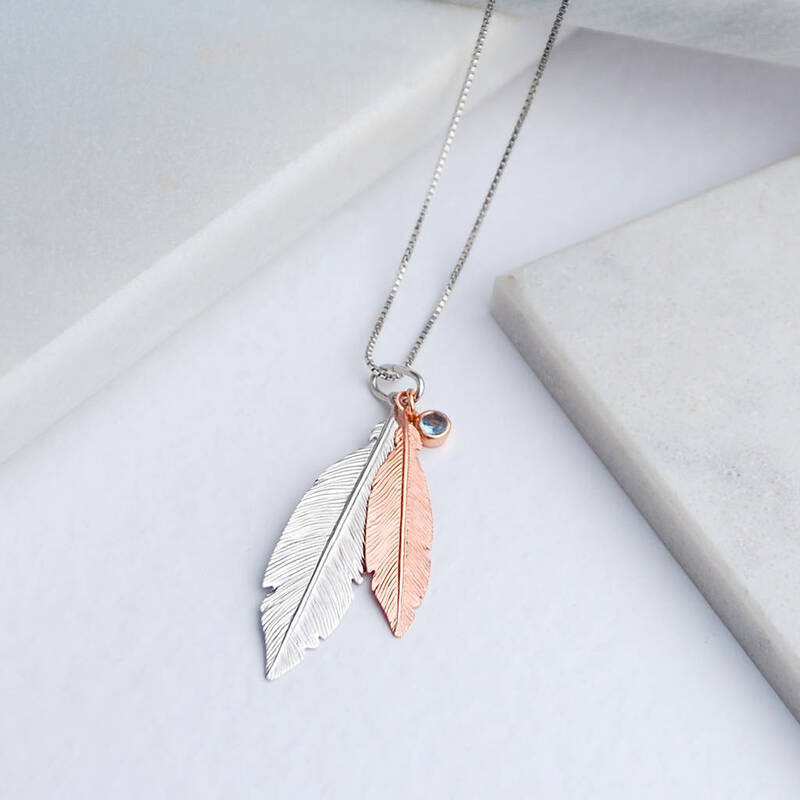 This double feather necklace is also available in silver and rose gold. 18" chain with extender so can be worn from 14" - 18"